This all-natural fat burning stack takes two of the best staple weight loss formulas and adds them to ULTI-GEN’S cutting edge, highly potent fat burning formula ULTI-SHRED. If you are looking to take your metabolism to the next level and enhance rapid weight loss, this is the stack for you! By adding the proven benefits of Pure Acetyl L-Carnitine (ALCAR) and Conjugated Linoleic Acid (CLA) to our ultimate fat stripping formula, ULTI-SHRED, we have delivered the most effective natural fat burning stack on the market. CLA is related to the omega-6 fatty acids, these essential fatty acids regulate and increase metabolic rates, boost the immune system, reduce diet-related muscle loss and help improve blood lipid profile. 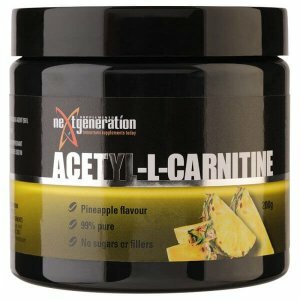 Acetyl L-Carnitine is a highly potent and effective natural weight loss supplement that has been proven to increase the ability of your mitochondria to burn fat. Not only has ALCAR been linked to weight loss but it has also been shown to support brain and mental function and help prevent ageing & disease. ALCAR PURE ACETYL L-CARNITINE – This pure dose of Acetyl L-Carnitine is designed to not only support and promote weight loss but also provides a direct benefit to your central nervous system and assists in maintaining healthy neurological function. ULTI-GEN’S ALCAR will accelerate your metabolism beyond its natural limits and support natural weight loss whilst improve cognitive brain function. CLA 1000mg PURE CONJUGATED LINOLEIC ACID – CLA acts as a blocker for an enzyme that is responsible for aiding your fat cells in absorbing and storing fat. By significantly reducing this enzyme’s function it greatly affects fat cells, preventing them from getting larger and storing more fat. Our pure dose of 1000mg of CLA containing 85% active isomers cis-9, trans-11 isomers will deliver rapid weight loss. This all-natural fat burning & metabolism enhancing stack is guaranteed to deliver optimum results! ULTI-GEN’S ACETYL-L CARNITINE: Acetyl-L Carnitine HCI (1000mg). OTHER INGREDIENTS: Maltodextrin, Microcrystalline Cellulose, Silicon Dioxide, Magnesium Stearate, Vegetarian Capsule.